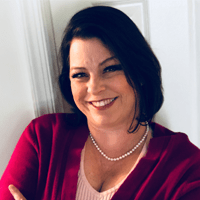 Sherylyn is an expert in Federal Business Development (BD), delivering 20 years’ experience working with small start-ups to Fortune 50 defense contractors. Ms. Asch has led large, complex, and strategic proposal responses for top Federal procurements winning more than 15 GWAC IDIQs including recent vehicles such as ALLIANT 2, OAISIS, ENCORE 3, T4NG. She has also brought more than $39B in task orders and single award contracts for the companies she has supported. She mentors and trains organizations and infuses rigor into their BD processes by implementing, repeatable processes and procedures that produce winning results. She enables companies to operate strategically and cost effectively by introducing efficiencies that make sense. Sherylyn motivates and empowers those she works with, training them to achieve success through innovative solutions, continuous process improvement, and implementation of lessons learned. Ms. Asch’s core business strengths include; Strategic Planning, Marketing & Branding, Business Development, Cross-Functional Team Building, Business Process Implementation & Management, Training & Leadership, Capture and Proposal Development. She has been a certified Shipley Instructor for a Fortune 50 Federal Contractors.